When a big company like Starbucks (SBUX), McDonald's (MCD) or Coca-Cola (KO) earns a huge (yuuge?) profit, investors benefit because the stock goes up. But you don't actually get a cut of what these companies make. It's different when these companies pay a dividend though. That's a tangible (and often quarterly) reward from a company that is prospering. It's the proverbial case of cold, hard cash money. So it should be no surprise that in these uncertain times for the markets, many investors are flocking to stable, blue chip companies that pay dividends ... and have a track record for increasing them. "Dividends are real. You can't fake it," said Eric Ervin, CEO of Reality Shares, a firm that manages the Reality Shares Divcon Leaders (LEAD) exchange-traded fund. The ETF invests in companies that pay solid dividends -- and should continue to do so for the foreseeable future. Ervin said that it's important to not get too focused on the company's yield -- which is the annual dividend payout divided by the stock price. Companies with plunging stock prices often have high yields that could turn out to be unsustainable. "What investors really like is dividend growth," Ervin said. Ervin's firm even has a website with a DIVCON tracker -- a nod to the U.S. government's DEFCON tracker that was featured in the 80s Matthew Broderick movie WarGames. In this case, DIVCON 1 does not mean that nuclear winter is coming ... but a dividend cut might. Stocks rated as DIVCON 5 are the ones most likely to raise their dividends sometime soon. On the flip side, stable consumer companies like Nike (NKE), Starbucks (SBUX) and Wal-Mart (WMT) are all listed at DIVCON 5. 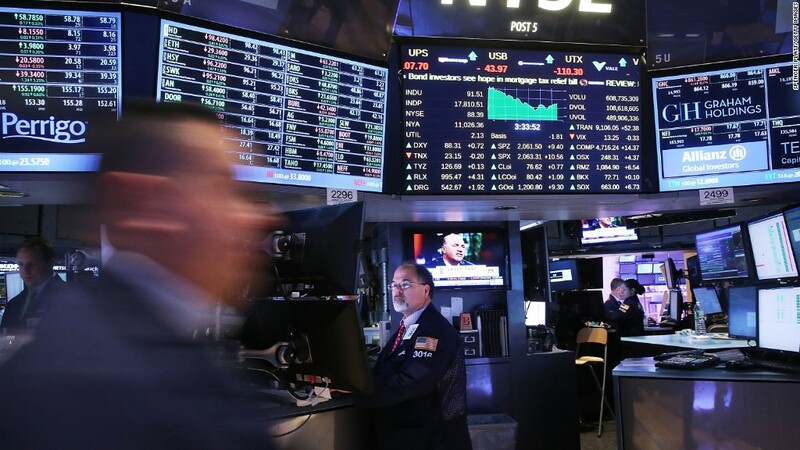 Martin Small, the U.S. head of iShares at asset management firm BlackRock, also said there has been an increased focus on dividends lately due to the market's volatility. "The last few weeks have been character building and resolve testing for investors," Small said. With that in mind, Small said real estate investment trusts, which are legally obligated to pay a big chunk of their earnings back to investors as dividends, have been in demand. His firm has the iShares U.S. Real Estate (IYR) fund, which is up 12% this year. Other iShares ETFs that offer big dividend yields have held up well this year too, such as the iShares Core High Dividend (HDV) fund. Verizon (VZ), Johnson & Johnson (JNJ) and Procter & Gamble (PG) are top holdings. Small said there has also been more interest in the iShares Edge MSCI USA Quality Factor (QUAL) and iShares U.S. Preferred Stock (PFF) funds. Of course, there are some concerns that dividend-paying stocks may now be too hot. Boring electric utilities are on fire -- mostly because of their high dividend yields. But as long as government bond yields remain anemically low -- and negative in some places -- then investors with a low appetite for risk may continue to keep snapping up companies that offer solid dividends.